I am blessed for the richness that Micah has forever added to my life. Giving back to other families is one of the best ways for me to stay close to Micah. When I married my best friend, Noah, we were young, healthy and excited to start a family. We expected our family-building journey to be simple. But we struggled with infertility. Three years later, our miracle babies found us. We were ecstatic to have twin boys on the way. We named the twins Micah and Zachary early in the pregnancy. All of my appointments went smoothly. I was healthy and did everything right. My pregnancy was perfect, until it wasn't. At 25 weeks gestation, I went into preterm labor. I was hospitalized and placed on strict bed rest. Micah and Zachary were born just shy of 28 weeks gestation. They each weighed about 2 ½ pounds. I did not get to see or hold them after they were born; they were immediately taken to the NICU to fight for their lives. I struggled with profound guilt and anxiety. I hated myself for not being able to protect my babies and keep them safe. The alarms, medical jargon and machines were overwhelming. My babies were so tiny, tangled up in wires and cords. I was afraid to touch them because I thought I would hurt them. I didn't know how to be their Mommy. I fell apart when I left them at night. I was a mess. Thanks to the boys' nurses and my family, I became a NICU Mommy. 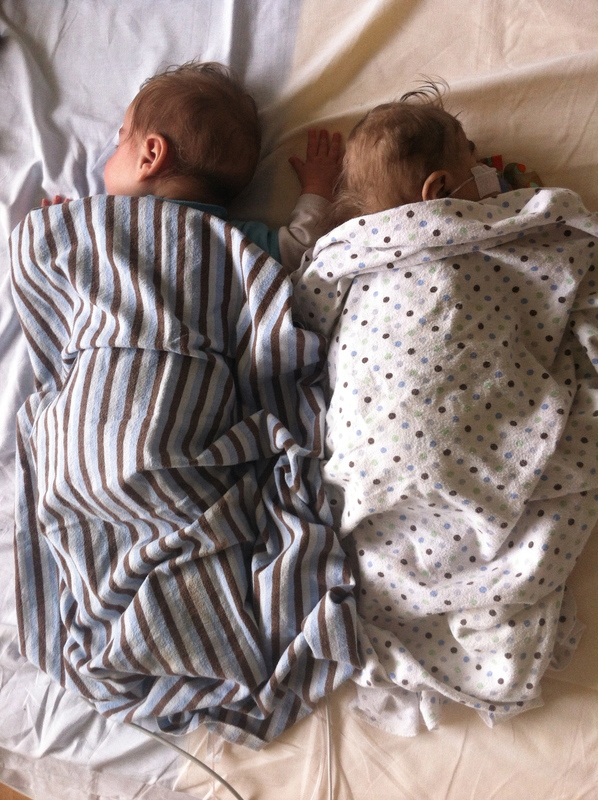 I did everything possible to give Micah and Zachary the best chance at a healthy outcome. I expressed breast milk every two hours around the clock. I kangarooed them every day. I stayed involved in their care. Micah and Zachary struggled, but overall, they were gaining weight and making progress. 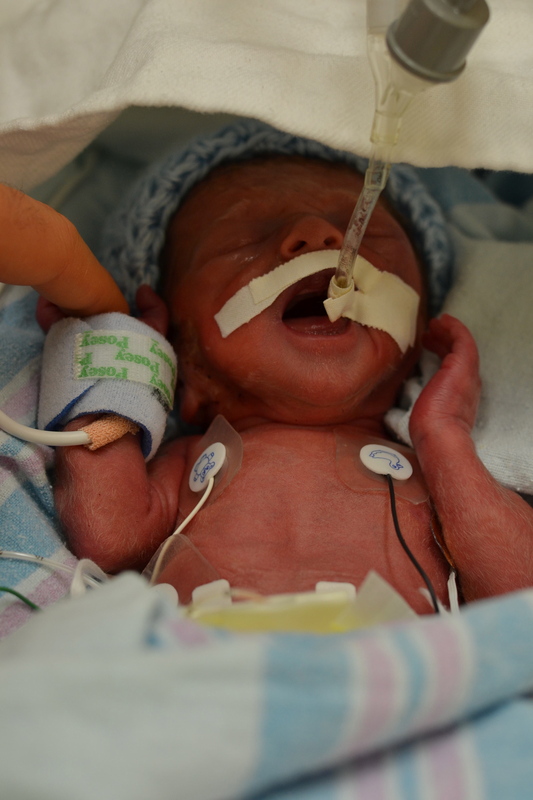 When the boys were 6 weeks old, Micah developed necrotizing enterocolitis, an intestinal disease that is relatively common in premature infants. Necrotizing enterocolitis sent Micah into a downward spiral that resulted in end stage renal disease, intestinal resection and a host of other life-threatening complications. Nearly six months later, we accepted that Micah would need a kidney transplant. We finally brought Micah home, but he still needed to be back at the hospital six days a week for hemodialysis. Having Micah at home was a dream come true. I was in the middle of planning Micah and Zachary's first Christmas and birthday when Micah took a sharp turn for the worse. As the day unfolded, the situation grew very dim. By mid-evening, the news of Micah's life coming to an end was spreading to our family and friends. It felt like a nightmare. I hoped for a miracle. I hoped that Micah's kidneys would suddenly wake up. I hoped that somehow Micah would turn everything around and we'd all go home together. Then, I realized there would be no miracle. My baby was leaving this Earth and I could not do anything to stop it. His time here was over. I didn't get to keep him. I would have to say goodbye to my precious Micah and all of the dreams I had for him. I didn't think I could do it. I told Noah that I could not let Micah go as I held him. His last breath, his last heartbeat, could not be in my arms. Noah insisted that it was best for Micah. His life started with me. It should end with me. And so it did. I am blessed that Noah and I had hours to say goodbye to Micah. We sang to him. We made hand and footprints in his favorite storybooks. We hugged, kissed and snuggled him tight. Micah knew he is deeply and forever loved. I didn't know how to live without Micah. I couldn't eat. I couldn't sleep. I couldn't talk. All I could do was cry. I needed ways to feel close to Micah. I wanted to give back to other families in Micah's name. Noah and I considered everything that brought Micah joy. We wanted to find that one thing that brought Micah joy and then give it to other families to enjoy, too. One person stood out: Bob Huffman, the children's hospital's music therapist. Throughout our journey, we found that music provides calm amidst chaos. Music transcends time, space and all barriers, so we started a fund to help expand the children's hospital's music therapy program. We named it the Micah Smiles Fund, because of the incredible smiles that Micah shared with us as we showered him with music, storybooks and our love. Through the Micah Smiles Fund, we are able to share Micah's love of music with other families, and that brings us a deep sense of peace. With the support of an amazing community, I have continued to honor Micah. We've started the University of Michigan NICU's Micah and Zachary Giving Library that provides a children's book to every NICU baby each week. More than 5,000 new children's books have been donated to date. We continue to hold blood drives in an effort to give back the 213 units of blood that Micah and Zachary received during their hospitalizations. Recently, I established the NEC Society to raise awareness of necrotizing enterocolitis in premature infants. I feel close to Micah when I give back to other babies and families. There is no healing from the loss of a child. I have learned how to live without Micah, but I have an everlasting heartache that runs deep into my soul. It is a part of me and always will be. I want to keep it that way, because that ache in my soul is Micah. This journey has given me strength and endurance that I never imagined to be possible. I am blessed for the richness that Micah has forever added to my life. Giving back to other families is one of the best ways for me to stay close to Micah. I find peace knowing that other families are better off because Micah lived. This post originally appeared on MomsRising.org.